Join us at Texas Roadhouse in Old Bridge, NJ on Tuesday, September 5th, 4pm-10pm. 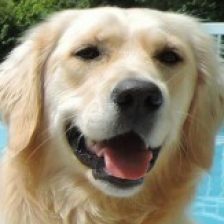 10% of the cost of your meal will be donated to Lily the Comfort Dog. Be sure to print out a flyer before you go. You will need to give your server a copy of the flyer so that we get credit for the donation. We are grateful for you support. If you have any questions, be sure to contact the Good Shepherd office. Sometimes when God tells you to go, you don’t know what to expect, but you go. smile and not think about his condition. This was our mission. Lily and I arrived on a stormy, rainy afternoon. Immediately it was clear Paolo was strong in the legs but had difficulty with his arms and speech, but the joy in seeing Lily was apparent. We sat down to an amazing Italian lunch and I explained what the Comfort Dogs are about and what they do. Thankfully Barbara was able to translate, as her mother does not speak English and her father understands and speaks only a little. (I wish I had taken Italian in school not French) I also presented them with a stuffed comfort dog which Paolo smiled and cuddled with his neck. We then went into town for a walk and they got to see first hand the affect Lily has in a public place. We returned to the house, while we were preparing dinner in the kitchen, Paolo and Lily discovered a special way they could connect…Paolo sat in the living room and Lily laid at his feet. He took off his sandals and began to pet her and smile. Words cannot describe the joy on his face or the joy Barbara and her mother felt. The next morning we started what would become our walks with Paolo by the water and conversations on the bench. I also discovered if I let Lily walk right next to him he could brush his hand on her head and back. As they walked he would say “my friend Lily”. When we sat on the bench to rest and look out on the water, he shared with me how he wanted to give up and close his eyes forever. I told him it was not his choice, but it was God’s. He smiled and nodded. We talked about all the joy and happiness that he still had to experience and why it was important that he was still here. 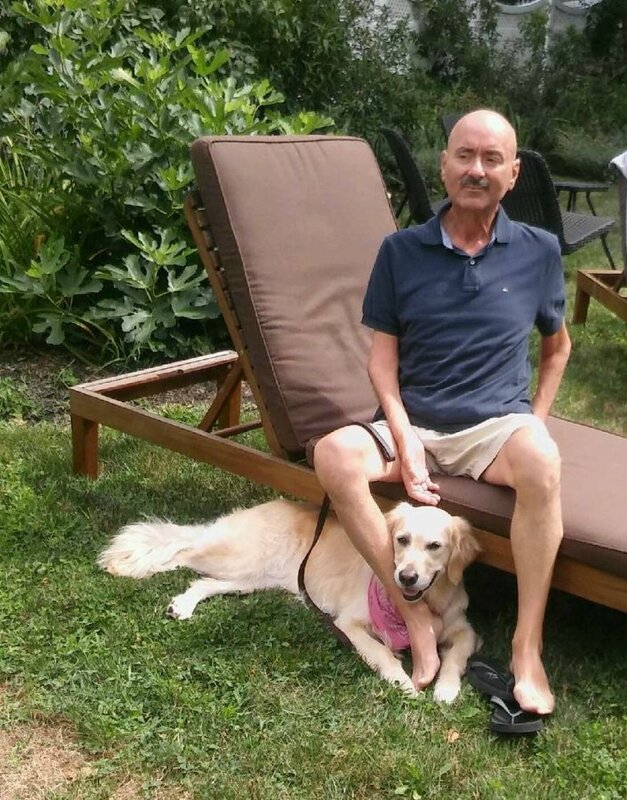 When we returned, breakfast was waiting in the garden, and through translation Barbara’s mother shared that when they were getting ready for bed the night before, Paolo was cuddling the stuffed comfort dog. She noticed a lady bug on the dog’s head. This means good luck, and she was filled with joy. There were many moments of joy and sharing in those two days, but none will be more special than our walks and talks by the water. On our last morning before leaving, Paolo shared that his time with Lily and me will be “forever in his heart for all of his life”. I agree my time with Paolo and his family will be forever in my heart as well. You never know where God will take you or what will happen when you go. Just go and let God take care of the rest. Through Lily, I am Blessed to have met Paolo and I have been changed forever. 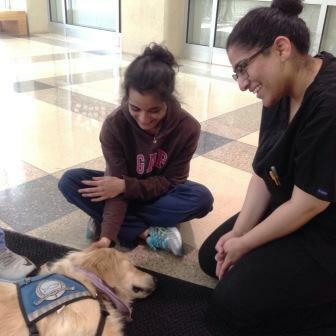 Lily and her Handlers have had the privilege of going to the Rowan University School of Osteopathic Medicine on several occasions this spring. 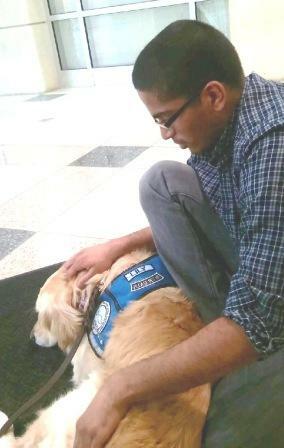 This amazing experience came about because the Wellness Committee had learned about the comfort and stress relief a dog brings to humans, and they wanted to bring this comfort to their own students. Medical School is highly competitive, and the stress is very high. The Wellness Committee was hoping to alleviate some of this stress by having Lily visit during exam weeks. What you hear when a dog is on campus. “Maybe if we lay on the floor we will be calm, too. Let’s try it.” And they proceeded to lay down on the floor like Lily. We do have an idea about the blessings we bring to everyone, and that’s why we do what we do. It is so amazing to make friends and see the joy and comfort Lily brings to everyone she meets, from the littlest babies, to the children learning to read, to the students on campus, to the elderly who are lonely and miss their own pets and families. I made some new friends today at Parker at Landing Lane in New Brunswick. So happy to be here. Here’s a picture of me wearing my new scarf that Nancy made for me. What a nice way to celebrate National Pet Day. Lily Comfort Dog shared a post. I am so happy for my furiends in Hicksville. I look forward to working with you!! !